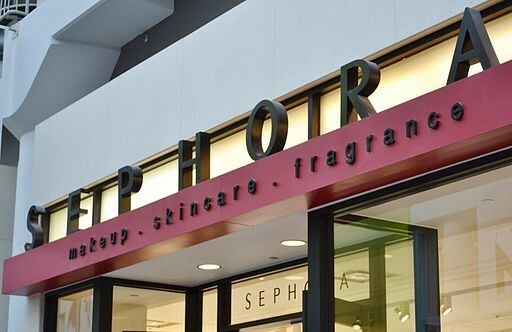 Sephora was one of the first retailers in the world to release a chatbot, consistent with its modern and chic brand values. Sephora released the chatbot on Kik Messenger, one of the most popular messaging platforms available in the market. Is the chatbot useful or is it just a marketing gimmick? Let’s take a look. As you open the chatbot, you are greeted with a message where the bot introduces itself. The bot also describes what it can do. The bot asks you to take a small quiz so that it has a better understanding of your tastes and preferences. The chatbot asks questions about your age, your preferences for makeup brands, and a particular product that you simply cannot live without. Once it has a better understanding about you, it will provide relevant content such as product reviews and how-to videos. The videos go in-depth to explain how to use the product efficiently. The chatbot will help you find the right products with an option called beauty uncomplicator. You have to answer a set of questions such as which part of your body you want the product for, what you want the product to do, how long you want the product to last and more. For example, if you select skin care, it will ask you to select among cleanser, mask, and moisturizer. If you select moisturizer, it will ask you about your skin type. It will give you dry, sensitive, oily, combination or normal. Based on what you select, it will ask further questions to get a better idea on what you want from the product. At the end, it will suggest a brand that can be obtained from one of its stores. The main feature of the chatbot is its ability to help you search for a product suitable for your body. You can either ask it to suggest top-rated brands or you can manually search for the product using keywords. Sephora chatbot is also capable of providing beauty tips. The tips are based on the body part you select. For example, if you select hair, it will give you tips on how to maintain your hair, how to keep it healthy, how to comb it, what products should be used on it, and more. Sephora chatbot also provides prom tips for those who are school and college. These tips will tell you how to use a product, how to look good for your prom night and other such information. If you are looking for inspiration so that you can stand out on prom night, the chatbot can help you out. There is an option called prom inspo. By selecting it, the chatbot will start providing pictures of models with different styles. The language used by the bot is simple and easy to understand. The chatbot by Sephora is brilliant. Even though it focuses only on women, the information it provides is graphic and relevant. Sephora has a plethora of product reviews and beauty tips. It also suggests products based on your requirements. If you are finding it hard to understand what certain products do, it has a beauty uncomplicator. You can shop for different types of products without ever having to leave the bot. However, the answers provided by the bot are based on keywords. If you don’t use the right words, the bot won’t understand what you are trying to say. It’s only a matter of time before the bot will be able to pick up on natural language. Overall, the bot functions properly without any hiccups. Give the Sephora chatbot a try.